SK-II celebrated the recent Singapore Fashion Week 2015 with a big bang, launching the SK-II NEW Mid-day and Mid-night Miracle Essences with the invitation of SK-II Global Ambassador and multiple Academy Award-winning actress Cate Blanchett to Singapore. I am certainly pleased to be one of the exclusive Beauty Influncers invited to the #SFW event by SK-II! The Singapore Fashion Week showcases world-class collections by top and emerging designers and labels casting a spotlight on Asian talents. 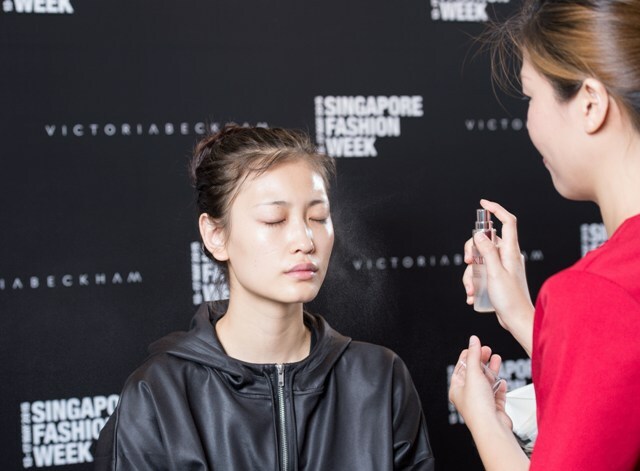 As the Official Skincare Partner for #SFW2015, SK-II also collaborated with #SGFW closing designer Victoria Beckham with a backstage skin prep session for each model just before each walked down the runway for her show. 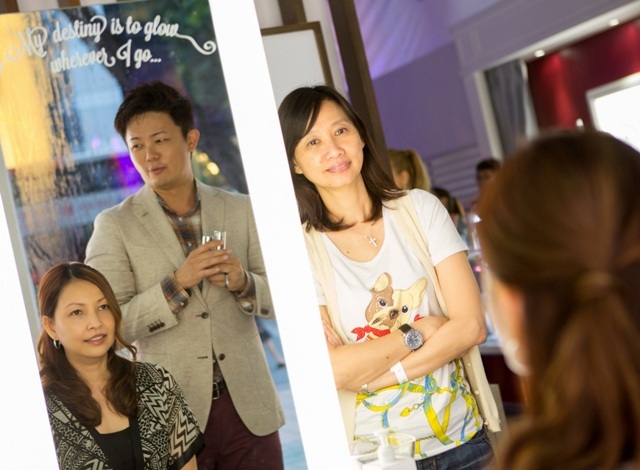 At the Singapore Fashion Week, SK-II brought together key beauty influencers together with celebrity makeup artist and skincare guru Larry Yeo for an intimate beauty session held within the SK-II Museum space. Spray SK-II’s NEW Miracle Essences diagonally across your face in the shape of an X to maximise product contact with your skin. Then, pat down with a full piece of tissue across the whole face. Foundation too thick? Just spritz the Miracle Essences Spray into your foundation. It dilutes the coverage but still sustains the foundation formula. If you want to achieve a radiant finished look, use 3-4 drops of the SK-II Cellumination Aura Essence before applying makeup. This will help with the immediate brightening of the face due it its optical diffusers. Check out my SK-II Cellumination Aura Essence Review! Use under the eyes after skincare is applied so it can smooth out the under eye before concealer is used. The CC cream allows better adherence of the concealer and delivers a smoother base so less concealer is needed. Use the CC Cream to dilute out any dense concealer for a more fluid movement. One part concealer to one part CC cream and you have a sheer-medium concealer prepared! 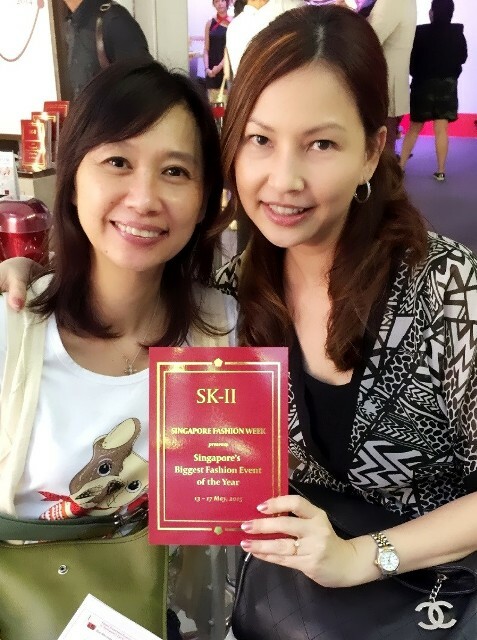 Read more at SK-II AurActivator CC Cream Review + Tips To Radiant Skin! For people like me who dislike wearing foundations, BB Creams or any concealers because of their heavy texture, Larry's handy tips in mixing the SK-II Mid-Day Miracle Essence with a concealer to dilute the texture is definitely brilliant. 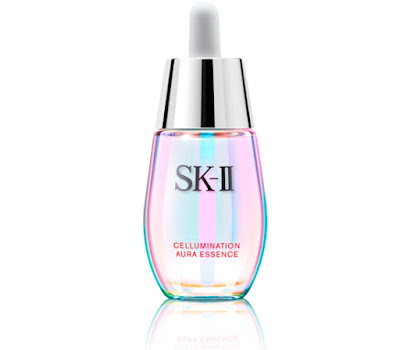 I also love the use of the SK-II Cellumination Aura Essence for a more luminous skin. So how do I look? No foundation, no BB cream nor powder, just my tinted sunscreen and of course, my beloved SK-II skincare products! Thank you Larry, for sharing these awesome tips with us! I don t know this product but it looks so great..it could be really interesting to try it! You look natural! I like to look natural without too much products on my face. It must be so awesome to be a part of a huge event and it's really cool that an expert make up artist did your make up. I need to track that product great event. What performance!!! You as been Very lucky! your skin always look so perfect and radiant! I just love how natural and pretty you look on these photos. This mist sounds like a great way to hidrate our skin and it is great that it can be used over make up. I really enjoyed reading the tips from that celebraty make up artist. I'm happy you were invited to this lovely event and even more happy that you shared it with us. Love this! Have an awesome new week! I am sure it was an amazing event! I love this brand!! And gosh, you're so so lucky. I bet you had lots of fun at this event :) And of course, you looked great! Sounds like a great product. Great experience. Looks like a great event! The product looks amazing. 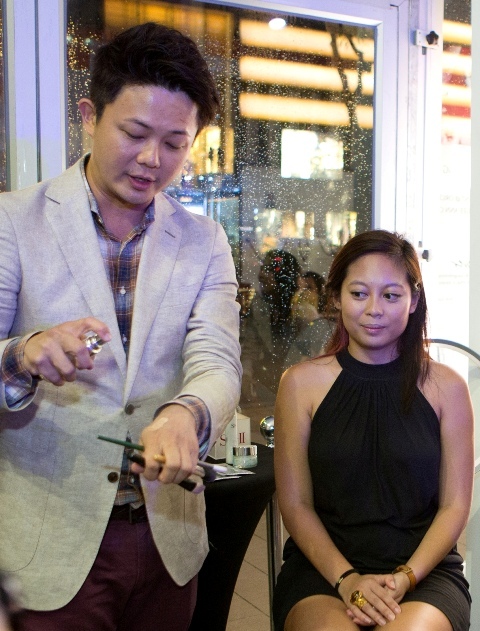 What a big event and you got invited as one of the beauty influencers! Oh yes you did influence a male like me to SK-II. I have tried the basic SK-II Cellumination and am really impressed with the instant radiance on my face. Wow!!! Wish I was invited too. Such a wonderful beauty event. i love this :) i hope you're having an amazing day! Awesome dear, you dont need foundation you are blessed with beautiful skin. 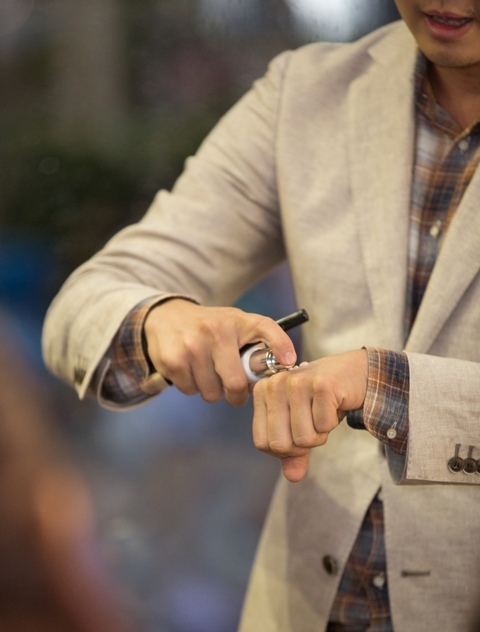 What a great event :) Love the photos! I don't know this brand, but it sounds interesting. Adoro esta firma y su representante es una mujer divina con una piel espectacular. Your skin is always radiant and beautiful...!! Thanks a lot Shirley! Your face looks fresh and rested, his reaction when you looked in the mirror is priceless. Congrats! It must have been really amazing. I adore Cate Blanchett and knew this brand. It looks really good. Have a great rest of the week!